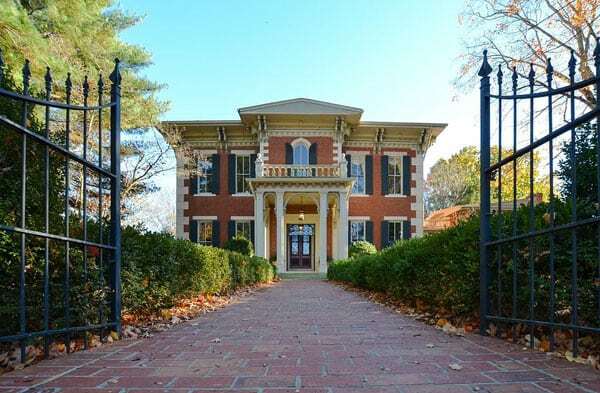 The Heritage Foundation of Franklin and Williamson County, located south of Nashville in Tennessee, protects and preserves local historic resources. The Foundation is planning to purchase the campus of the O’More College of Design, which is on the National Register of Historic Places. The main building on the campus is the Abbey Leix Mansion, built in the 1870s following the Civil War. O’More College of Design, a nonprofit four-year school, was only nine years old when it moved to the site in 1979. The property was appraised in 2016 for $4.78 million, according to the Williamson County’s property assessor, Brad Coleman. O’More is merging with nonprofit Belmont University, a Christian Liberal Arts and Professional school in Nashville. Smaller colleges face an uphill battle for students, and Belmont was happy to take on O’More. The college landscape is difficult, said Christopher Loss, a Vanderbilt professor and expert in the social, political and policy history of higher education. This is a merging of assets, not a purchase. O’More vacated the building at the end of the semester in May, and Belmont announced at that time it would sell the campus and use the funds for the merger transition and an endowed scholarship. David Garrett, the board president for the Heritage Foundation, said they will purchase the property for about $6 million, the largest purchase to date for the preservation group. Even when your mission changes, honoring previous commitments remains important. For The Nature Conservancy, this entailed transferring a property and providing a one-time grant to another nonprofit to preserve a historic mill.